It was all aboard and full speed to Redditch (where? you may ask – and I did. South of Birmingham, apparently) for the latest Arena League meet on Saturday night. Weirdly, although we were somewhere in the West Midlands, we were hosting the meet – why we couldn’t host in Cheltenham was a question I never quite got to the bottom of. Anyway hosting we were and as a packed coach of excited swimmers sped up the M5 towards the West Midlands, an intrepid advance party of parents had already arrived at the Leisure Centre to prepare for the start of the evening. In all six teams took part – City of Coventry, Dunstable, Stratford Sharks, Halesowen, Coalville, and Cheltenham. 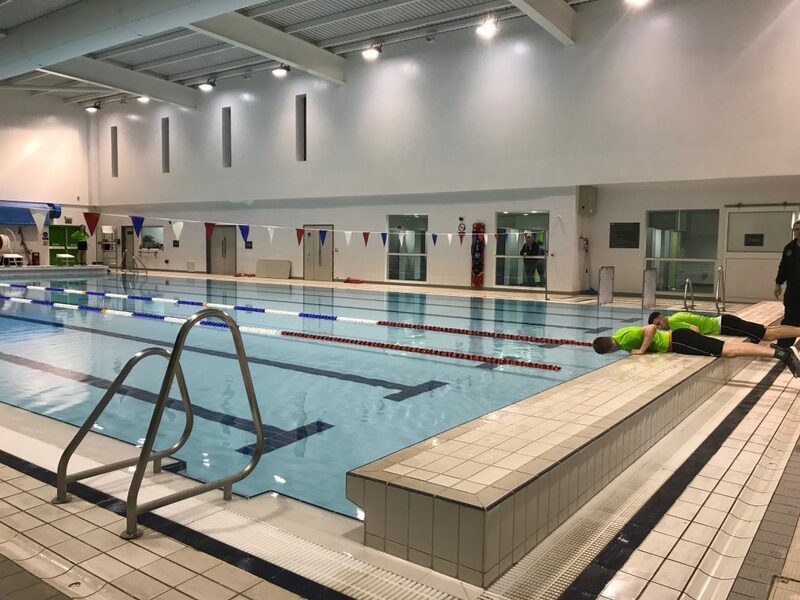 I did have to ask one of the Dunstable officials where Dunstable actually was – apparently, it’s close to Luton, which shows the distance clubs will travel to swim. As always, it was an exciting night full of highs and lows, shouting, screaming…and lots of Haribo. As a parent spectator it was brilliant to watch our swimmers in action but the competition was tough. At one stage I swear one of the teams had roped in an Olympian for the Open category – but our own swimmers put up an excellent fight and it was wonderful to hear our score going up throughout the night. In the end, having been in fifth place towards the start of the competition we ended up with a very healthy (and hard won) third: all the swimmers should be extremely proud of their efforts. Thanks as ever to the amazing team manager Vic Warwick whose shouting skills on the coach, as well as behind-the-scenes organising skills, kept the whole thing together. Also thanks to coaches Kev and Steve for being there and all the parent volunteer helpers from officials to front-of-house for giving up their (very precious!) Saturday night for their kids. One more meet in the league to go – come on Cheltenham!